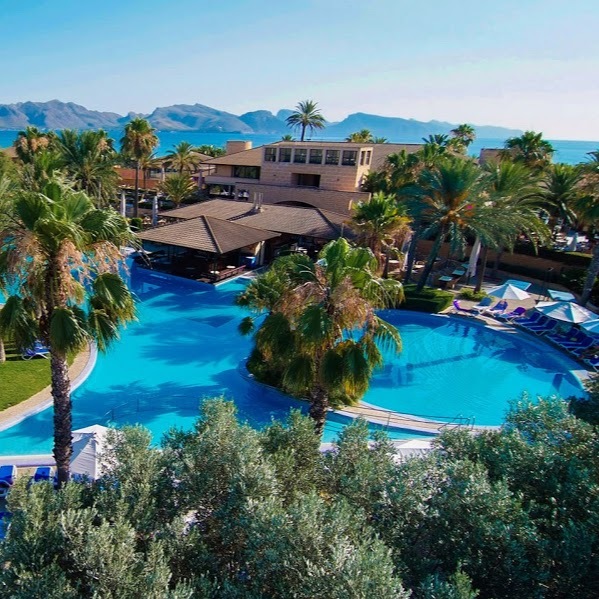 Set in sprawling tropical gardens overlooking the Pollensa Bay and surrounded by S'Albufereta nature reserve, this casual village-style resort is 6 km from Alcúdia Beach. Relaxed, airy rooms come with free Wi-Fi, flat-screen TVs and minifridges, plus pull-out sofas and balconies. Suites add lounges. Adults-only and upgraded rooms come with complimentary wine on arrival. Dining options include buffet and adults-only restaurants, plus a cafe and several bars. There's an outdoor pool, a fitness room and sports courts, plus water sports, archery and bike rental. There's a kid's pool and kids' clubs, plus babysitting is available.